I'm looking for products with the following specifications: Required Phthalic Anhydride - on regular basis. 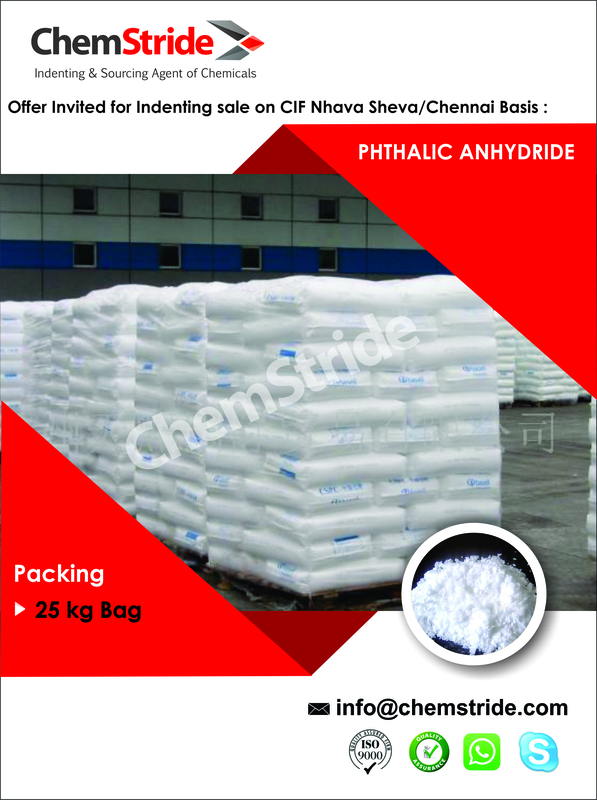 CIF Nhava Sheva /Chennai basis for Indenting Sale. Monthly 500 to 800MT Genuine and high quality makers/supplier who can offer CIF prices with LC 90 / DA 90 Days (No FOB, Sight or TT offer needed) can offer with complete details at : E : info@chemstride.com Skype : sales_55264"